Just got a 96 from unit 5 to potter about on whilst going for my mod2. Went out tonight for a spin and the rear started locking up. Revs would drop and then it would squeel to a halt. Was difficult to get into neutral and start but after a few minutes it would be ok for a few minutes and then the same thing would happen again. Any ideas? Is the gear box buggered? Sounds like it's seizing to me, take it back and get them to sort. Any air leaks on carb side of inlet? Yeah sounds like the engines seizing to me. Definitely don't ride it any more. Time to tear down the motor for a rebuild. @me0u01c1 Engine seizure is when your piston gets stuck to your cylinder walls. It can happen for a variety of reasons including mechanical failure, overheating (i.e cooling failure) or just rust and old age. Sounds to me like your bike is seizing a bit, the fact you can go several miles, stop and then continue going on. If you're lucky it may be an air leak or just a bad carb setup. If not, it will be at least a top-end rebuild of the engine. If you're a bit of a noob and not confident about putting your hands on it, then take it back to Unit 5. I assume the possibility that they have a warranty and probably don't want you to touch the bike. How many miles has the bike got on it? @me0u01c1 Welcome to the club, sorry to hear that your having some probs already. Bugger. The bikes done 17000km, and while there maybe a warranty of sorts i'd be on the hook for transport which would be about £300 there and back (bought online) so I shall sling it in to the local bike shop. I'm not that bothered about the cost/repair, as it sounds like a wear part anyway, it's just a PITA as I've got my MOD2 in 10 days and could do with the practice. Ah well cant be helped. Is there anything else I should get them to look at? 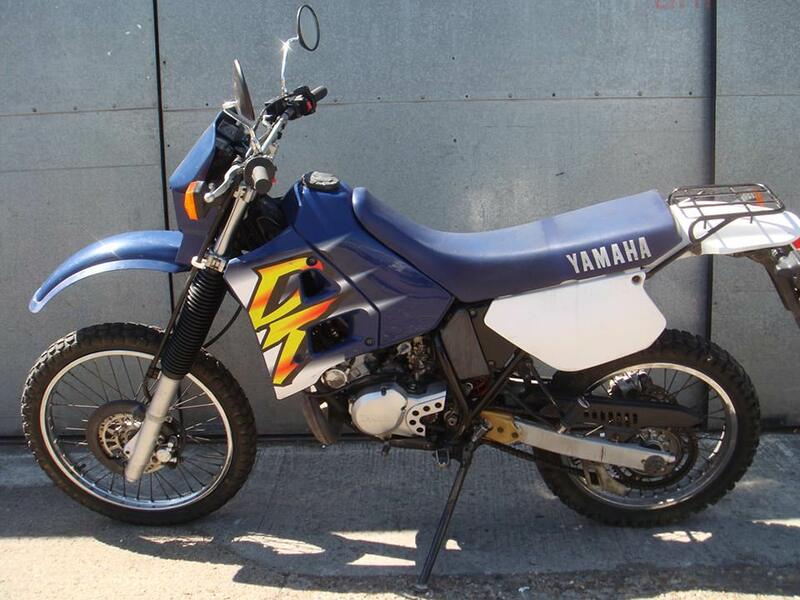 Or should I just trust the garage (North Cornwall Motorcycles) to sort it out. @me0u01c1 Oh that looks really nice. From your description it sounds like the engine needs a freshen up, but it is hard to tell without seeing it in person. Yes unfortunately on two smokes, piston and rings is just maintenance, easy enough job. Obviously when they tear down the engine they will want to ensure there is no play in the connecting rod as obviously the forces exhibited during a seizure will shock all the bearings. So just got back from the garage, looks like the 2 stroke pump has had it. He started it up and he felt it sounded ok so he'll start with the pump before taking the head off. The only issue is that he quoted £400-500 to rebuild the top end, is that not a bit extreme for a maintenance item? We're not talking a panigale here, or am i being soft? Its approx £100 in part according to yambits so 8-10 hours labour? If the pump has failed, then you've failed to lubricate the small end bearing (fine that's included in a top end rebuild), the big end bearing and the mains bearings. All of these must be inspected prior to rebuild, else your fresh top end will not last. If this were me, I'd be inclined to fix it myself. It's really not that difficult. If you don't want to do it, then you have to pay the price for someone else to do it. In my Opinion, £500 sounds like the price of a full engine rebuild. Usually see a full rebuild at around £200 mark, but if they're removing the engine from the frame they will charge that back out. The top end can be installed with the engine in the frame, and there really isn't much to go wrong. I wouldn't pay £500 for a top end rebuild, for £100 you could do it yourself. £150 with forged components. The rebore/hone will set you back £40. Pistons vary from £40-100 and the gaskets are £15. The price is the price I'm afraid. Once I got it out of the van, and he had a play said he'd look at the pump (he pulled the 2 stroke feed off the engine started and nothing came out), and to call back on monday. If he can't or hasn't done owt with it I'll pick it up and have a stab. It was more the rush (9 days to MOD2) but for £500 and a couple of weeks wait I might as well have a go. I've done cylinder heads on VAGs in my yoof, just old and busy (ehm lazy) at the moment. Agree pump failure unlikely but can be repaired to as new for around £50 quid. Sounds expensive to me, if it is a full rebuild could save money getting engine out yourself if you'rehandy with tools. Ask supplier for contribution to repair, should have been in a serviceable condition at sale. Oil pump failure? Not unheard of but uncommon for sure. That certainly explains things, I didn't even think about it. Well if it's just that I can't imagine much has gone wrong, these engines are pretty much bullet proof. I'd probably take off the head and see how things look, you might be lucky and just need to replace the pump which is an easy job. @me0u01c1 Pretty sure the pump utilises engine vacuum to draw the oil through as well. They also use very little oil anyhow, turning the engine on and disconnecting the oil feed may provide unrealistic diagnosis. I'm not convinced at that I'm afraid. But I work in IT, what do I know. I know from when I first fitted my clear oil lines that at idle the engine uses a minuscule amount. Even with the oil pump pulley fully rotated (maximum output) I reckon it took a good minute or two to fill the lines up to the engine. Which is what, 3 inches of 4mm hose? @finnerz89 I don't think pulling the oil line off the engine is representative of "The oil Pump has failed"
Sorry but I want more reasoning than that. @Calum I completely agree. He didn't even check the spark plug? Could be running really lean, has he checked the cooling system? Dunno tbh guys, he said he'd have a look and let me know, I'm just going to have to trust he knows his onions and not looking to be ripping me off. The other garage in town wouldn't even consider looking at it for a month so not much option. I'll speak to them on Monday and see what the gen is, if its not 'fixed' i'll bring it home and get the spanners out. @me0u01c1 To be honest, we're all here any how and are happuy to lend a helping hand. There may be a member on here nearby willing to give you a happy end.